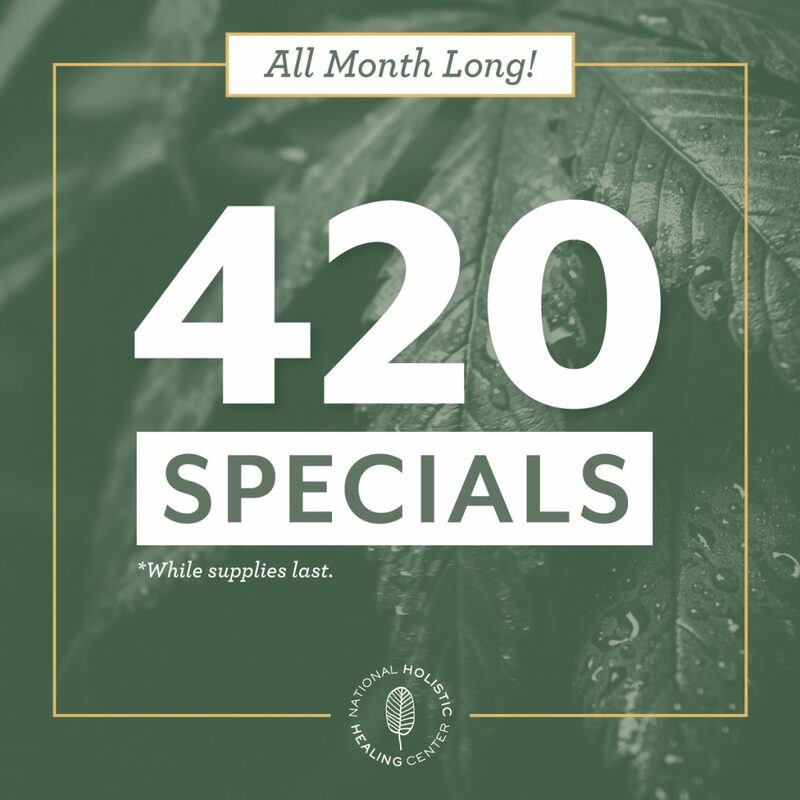 4/20 is just around the corner and we've decided to celebrate all month long with new strains, new deals, and exciting raffles and giveaways! 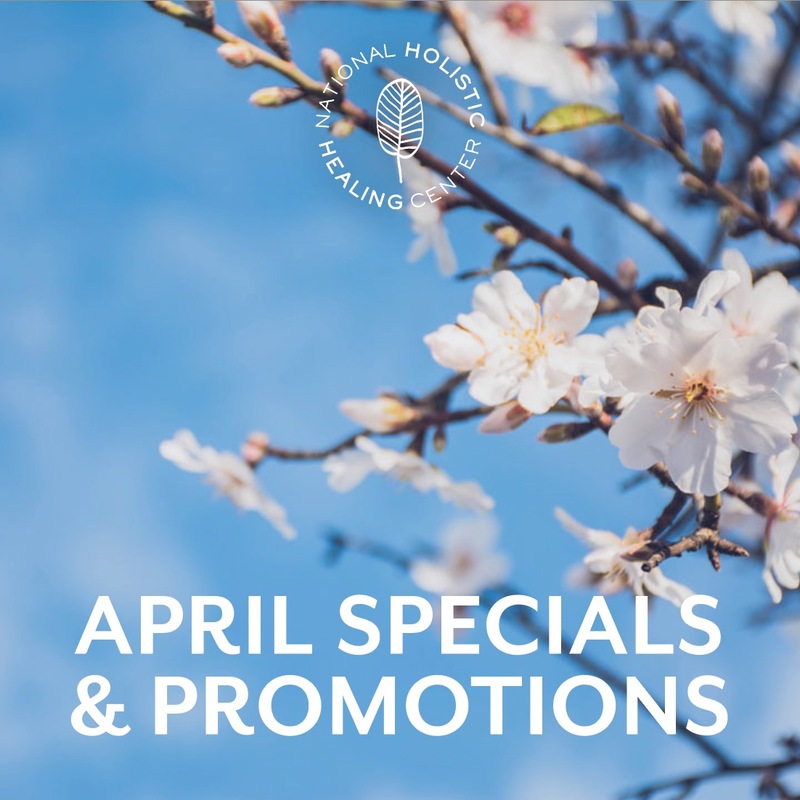 We'll be adding new specials throughout the month, so check back often. 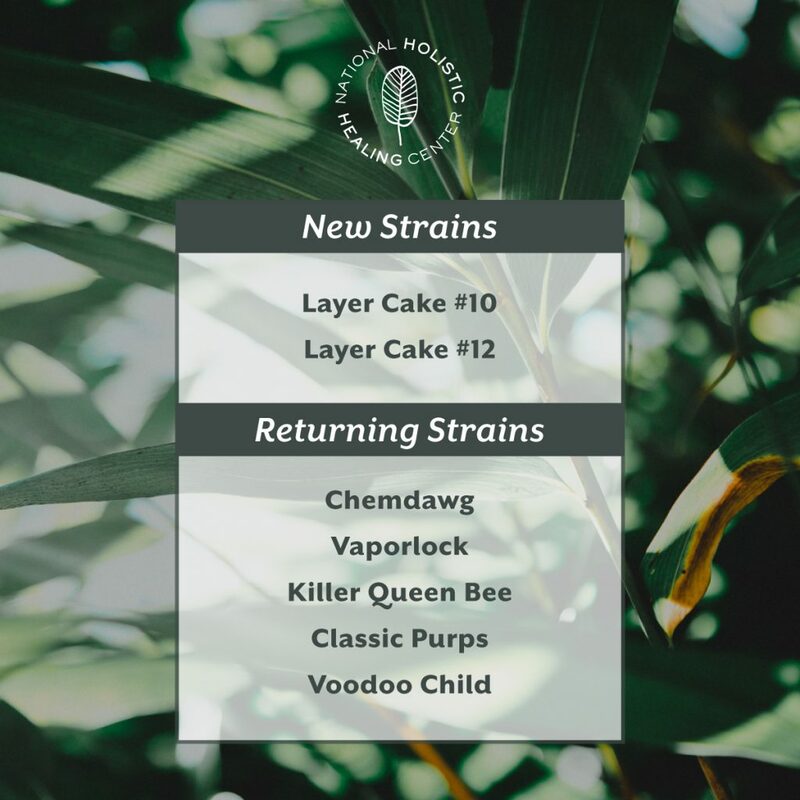 We're kicking off the month of April with a fantastic selection of new and returning strains! Just place your order online and we'll have it ready for pickup at your convenience. $10 Tuesday is back again! Each Tuesday we're offering a featured strain a new strain for just $10/g. 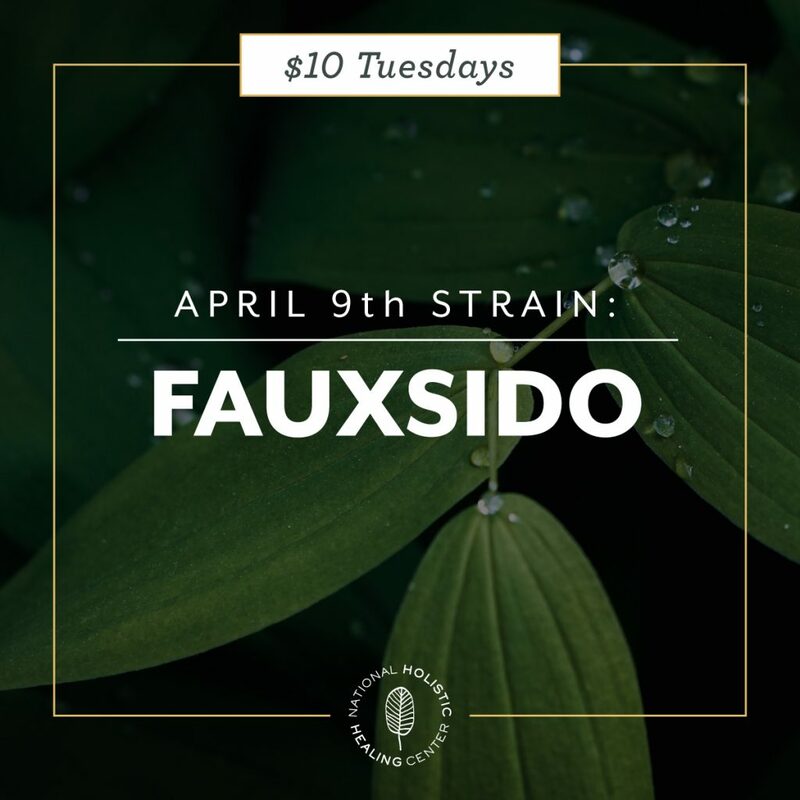 This Tuesday, April 9th we're featuring Capital City's Fauxido, a sativa-dominant hybrid that combines the effects of Do-si-dos and OG Kush, leaving you feeling relaxed and happy. Check back next week to see the $10 Strain for April 17th! 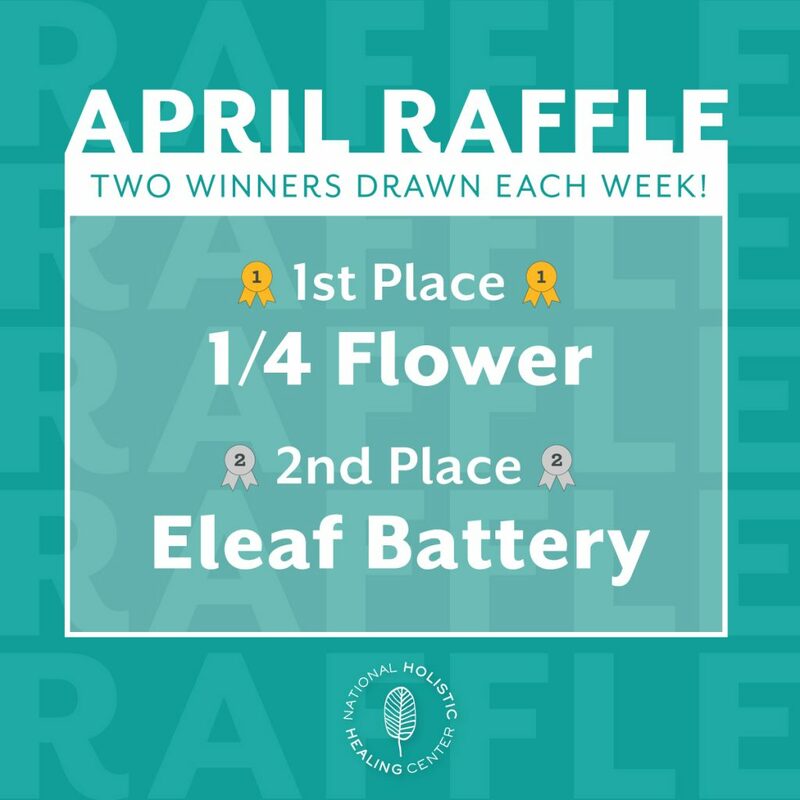 We'll be raffling off prizes each Sunday of this month to two lucky National Holistic patients! All you have to do is make a purchase at NHHC and sign up on one of our purple tablets at checkout. Only one entry per day and drawings take place Sunday evenings.